Welcome to Citi Advertising Manufacturer & Supplier of Signage Solutions The company was incorporated in 1995 at Sahibabad. Superior grade raw materials & Wide distribution networks have helped us to cater Amrapali Group, Titan, Havel&#039;s & other companies. Clear visibility, corrosion resistant, Innovative designs & Rigorous quality inspections are the factors responsible for our position of repute. Backdrops, Hoardings, Gantries, Bus Shelters, Events and Exhibitions are some of our applications. We offer a splendid range of Sign Boards & Advertising Products. 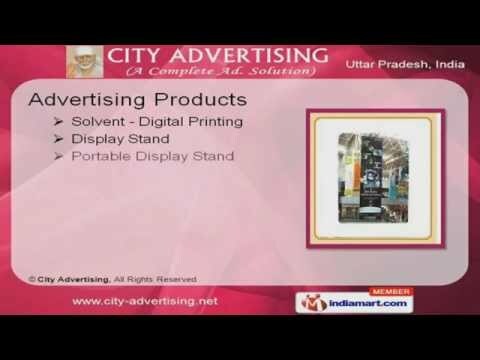 Demo Tent, Display Stand, Architectural Signage & Vinyl Printing are some of our Advertising Products. Screen Banners, Roolup Standy, Digital Flex Printing & Building Mounted Sign are also offered by us. We also provide sign boards that are widely appreciated in the market. Our glow and neon sign boards are highly appealing and attractive that enhances graphics and visuals.